We address the problem of analysing how users actually interact with software. Users are heterogeneous: they adopt different usage patterns and each individual user may move between different patterns, from one interaction session to another, or even during an interaction session. For analysis, we require new techniques to model and analyse temporal data sets of logged interactions with the purpose of discovering, interpreting, and communicating meaningful patterns of usage. 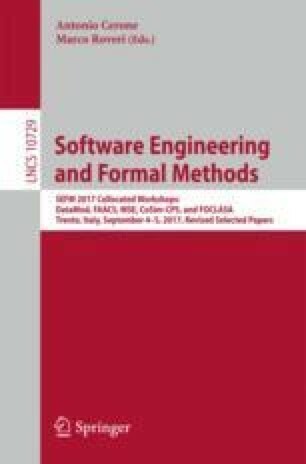 We define new probabilistic models whose parameters are inferred from logged time series data of user-software interactions. We formulate hypotheses about software usage together with the developers, encode them in probabilistic temporal logic, and analyse the models according to the probabilistic properties. We illustrate by application to logged data from a deployed mobile application software used by thousands of users. This research is supported by EPSRC Programme Grant A Population Approach to Ubicomp System Design (EP/J007617/1).